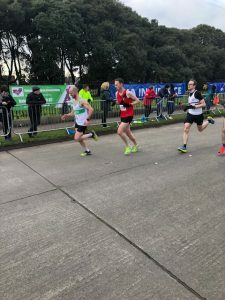 Raheny 5 mile 2019 - Civil Service Harriers A.C. 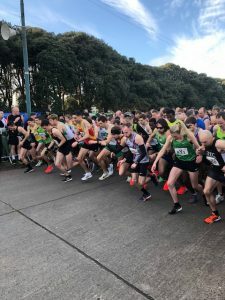 It was a beautiful crisp winter’s day for this year’s Raheny 5 mile. 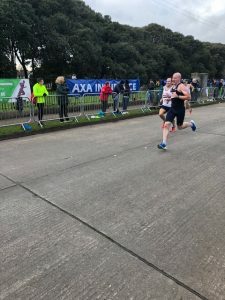 The atmosphere was great and I wished I were racing rather than spectating….then I saw the pain etched on the faces of everyone sprinting for the finish line. Some great gurning out there today! It was the first big road race of the year with a number of big names ready to stretch their legs on this fast course. We had our own elite field of men who put in some great times. 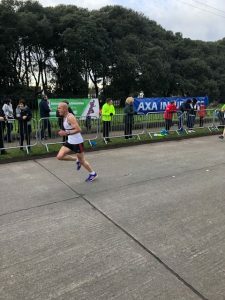 First home was Eoin Devlin in a blistering 25:11, placing him 23rd overall. Well done again Eoin. Patrick Coyle also had a great race finishing in 27:18, 54th overall. Bernard Coyle was next home in 27:36. Great running from Bernard. The team consisting of Eoin, Podge and Bernard finished 5th team overall. An amazing performance from the guys in a very competitive field. Next home for the club was Paul Cowhie in 27:41, also finishing first in his age category. Well done Paul. Paul was followed by Jason Reilly (28:02), Patrick O’Reilly (28:53), Gareth Horgan (29:25 – PB! ), and Tibor Kulich (29:51). Great runnning from the guys. Sean Ryan’s time of (30:44) placed him third in his age category. Well done Sean. Next were William Beausang (31:55), Paul Foran (33:35) and Maurice Kennelly (3746). Well done everyone! 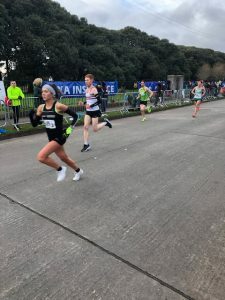 Siobhan Carroll was first lady home in a great time of 32:19. Well done Siobhan. 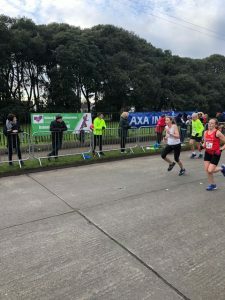 Aislinn Ahern was next in 35:53 and Margaret Maloney in 47:31. Well done ladies. Next race up is the BHAA Garda XC in the familiar surroundings of the Munich mile. Would be great to see everyone from the club out racing. It’ll be a great workout for the lungs!